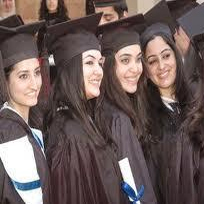 Bachelor of Business Administration is a very popular Undergraduate Degree in India. The degree is awarded for a program in Business Administration. The duration of the program is 3 years, divided into many semesters. BBA program is designed to give essential knowledge about Management education. The program also develops the student's entrepreneurship and communication skills. •	BBA develops aspirant's managerial abilities by providing a broader perspective through information of every function. The program enhances the candidate's decision-making capability and communication skills. •	BBA graduates can obtain straight entry into the corporate world. Eligibility : The candidate should have passed HSC with a minimum of 40% marks. Also the candidate should have passed in subjects such as English at the HSC level. This is compulsory for all the major institutes offering BBA course. The duration of Bachelor of Business Administration course is three years. Required age is 17-22 years as on the date of the admission. The Master of Business Administration (MBA course) is a master's degree in business administration, which attracts people from a wide range of academic disciplines in India. The MBA designation originated in the United States, emerging from the late 19th century as the country industrialized and companies sought out scientific approaches to management. The core courses in the MBA program are designed to introduce students to the various areas of business such as accounting, marketing, human resources, operations management, etc. Students in the MBA degree course have the option to select an area of concentration and focus approximately one-third of their studies in this area. Eligibility : You need to have a bachelor's degree (3-year course) or equivalent in any discipline recognised by any Indian University/ AICTE as eligible for MBA degree course. Students will have to go through following exams such as MAT entrance exam or Common Admission Test (CAT) or Xaviers Admission Test (XAT) or ATMA entrance test or State CET or College CET to get admitted into this course. - Tour & Travel Management. TUITION: Home Tuition available for BBA / BMS / BAF / MBA.